The love and diligence that inspirited Emilie Ronquillio to also work hard in college, even earning a scholarship. But the struggle from life's hardship did not stop Emilie's mom, and her family to pursue a good life, and indeed they won a favor from God. Today, aside from spearheading a design and construction firm, Emillie was able to open up two concept cafe and salon - EnW Salon and Spa (with cafe and lifestyle store) and Stairway Cafe and Salon, both located at the her hometown. 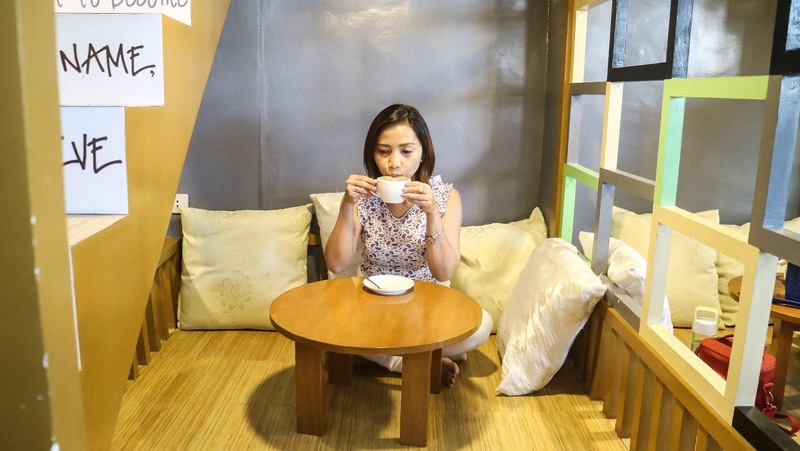 With the spaces offered to her and an idea of putting up affordable salon and spa services, she went beyond and built up a new concept cafe plus salon right at the heart of the bucolic town of Aguinaldo Shrine. 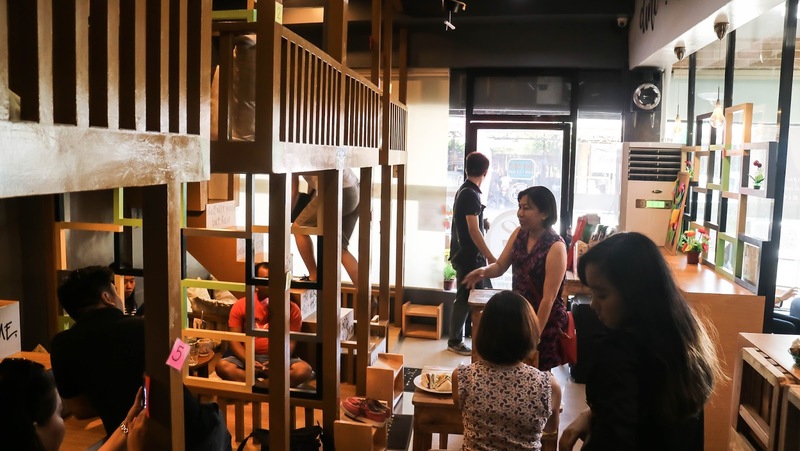 What was supposed to be a salon only, where she can also sell health and beauty products, a cafe came to picture, to answer the customers' need for sustenance and to delight guests' companions. The whole package was improved when her kids stepped in to critique and gave her more creative ideas in entertaining her clients. 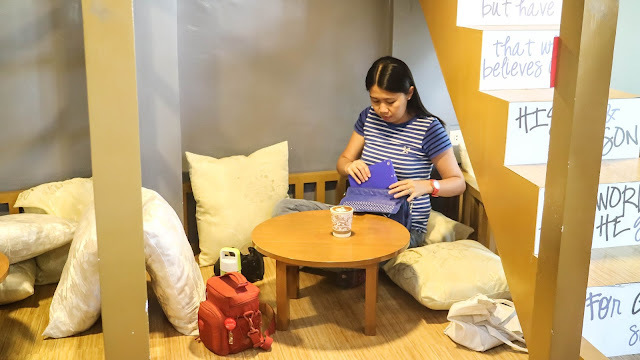 The kids aimed for cool, cozy nooks to enjoy cold coffee concoctions paired with good food. 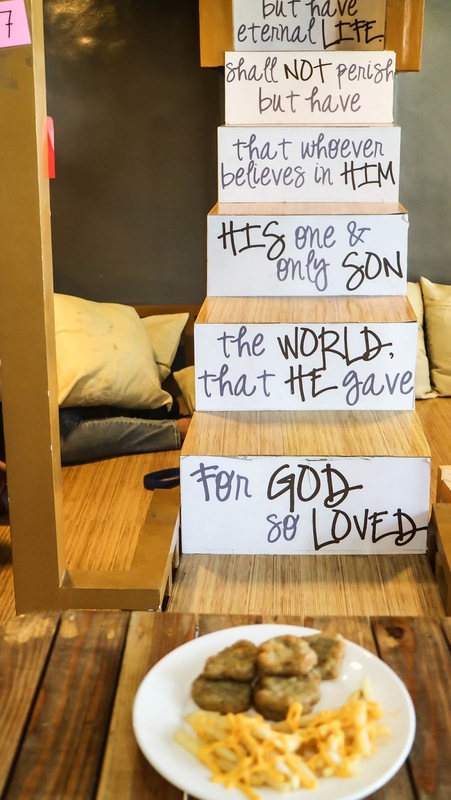 But Emillie has more cool ideas- to inspire clients about hope and faith in God. After all, that same essence was what fueled her to strive and share her blessings. 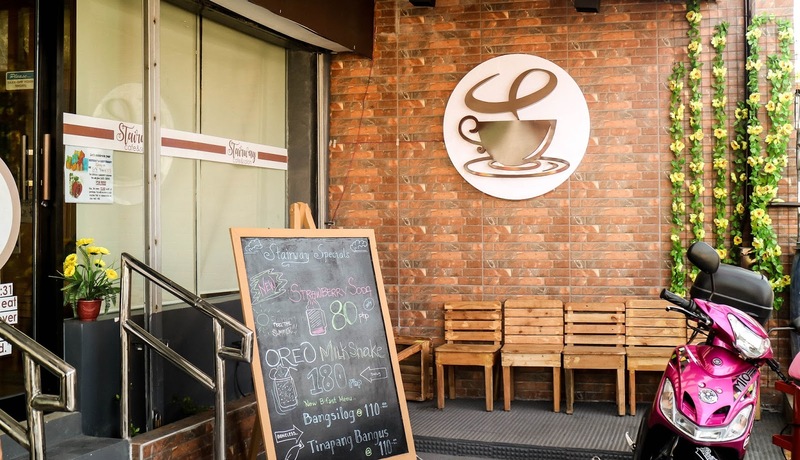 Located just a few walks from the historic Aguinaldo Shrine, the addition of the cafe gives this boring community a sort of makeover. 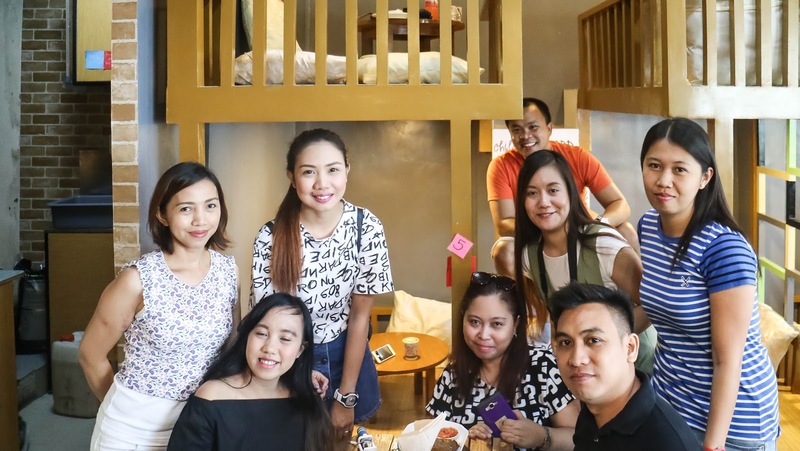 It's modern, yet friendly, it's hip yet it's convenient and the food and drinks are well-designed too. That's me, all-cozied up, pillows around me and my morning cup of coffee - Choco Hazelnut Latte. At the cafe area, you can choose to either sit with your loved on on the table, or get to relax without your shoes and indian sit below or on the bunk deck. Each deck can sit up to a group of four. With a large group as ours, we didn't crowd the place yet, coz there are really a lot of space to enjoy meals and bonding with the barkadas. This maybe the reason why they named the place Stairway, coz they do have stairs inside the cafe. But in my truest opinion, the owner may be implying about the one and only Way (a stairway perhaps) to heaven, that is nonetheless than our Lord Jesus Christ, which happens to be written all over the place. 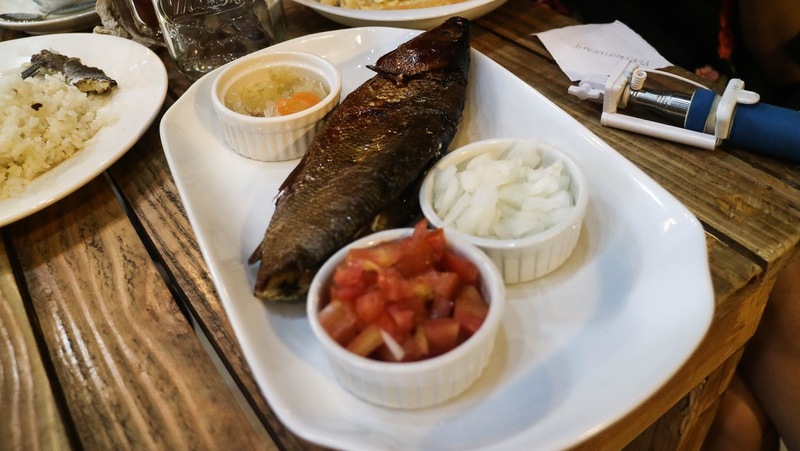 The place aside from providing the much-needed pampering for everyone, offers a menu of comfort food that uses only fresh ingredients. 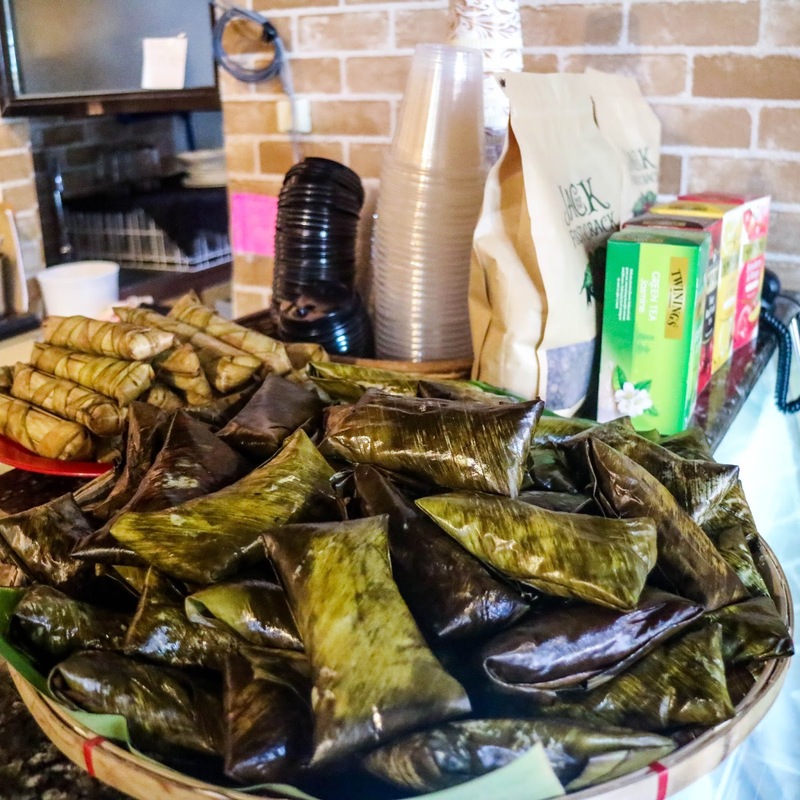 Everyone from the community raves about their Suman sa Lihiya at Matamis na Suman, the very foundation of this concept. I bet this is the only cafe, thus far, that serves suman along with a bevy of rice plates, sandwiches, burgers and pasta. 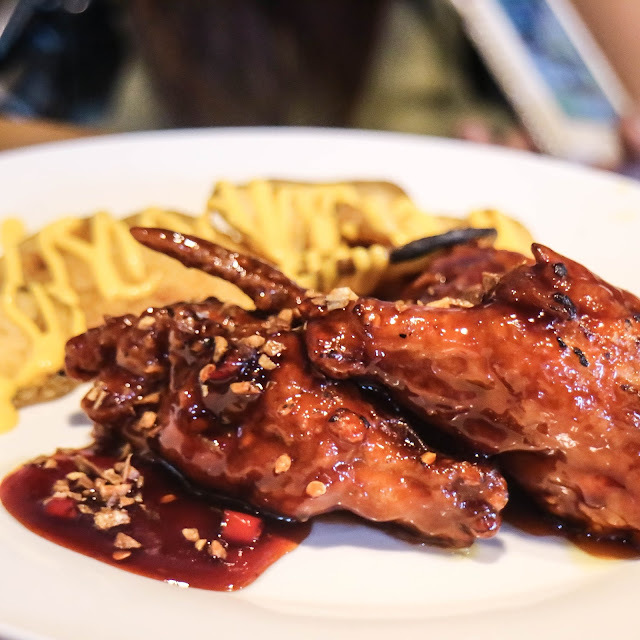 One of their best-seller is the Buffalo Wings with Nachos and Fries (P 150). The sides, nachos and fries complement the spiciness of the sauce it's drenched with. This jaw-dropping mammoth of a burger is also one of the reasons clients keep on coming back for. 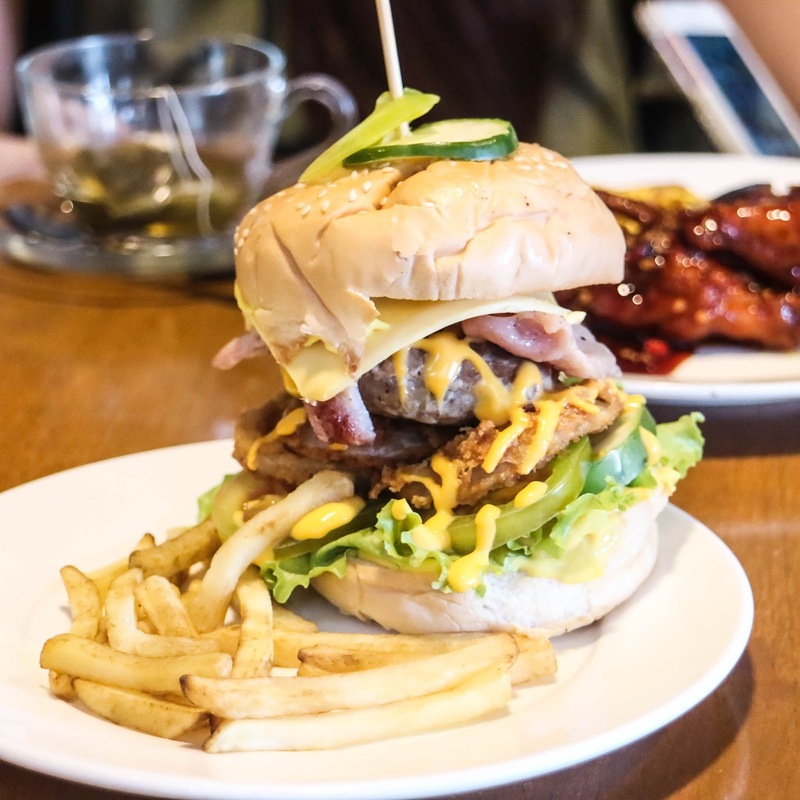 For a mere price of P 120, Stairway Cheeseburger doesn't only satiates your craving for a good burger, it fills you up to and a complete meal in itself as it has crispy fresh vegetables in it. You should not miss having their warm hash browns (P 80) served with a thousand island dip. If you want something like a "surf n turf," you may want to have their Fish and Fries, cute fish nuggets fried but not oily served with fries with a douche of cheese. Arabica beans sourced from Mt. Apo is their choice for their daily brews. 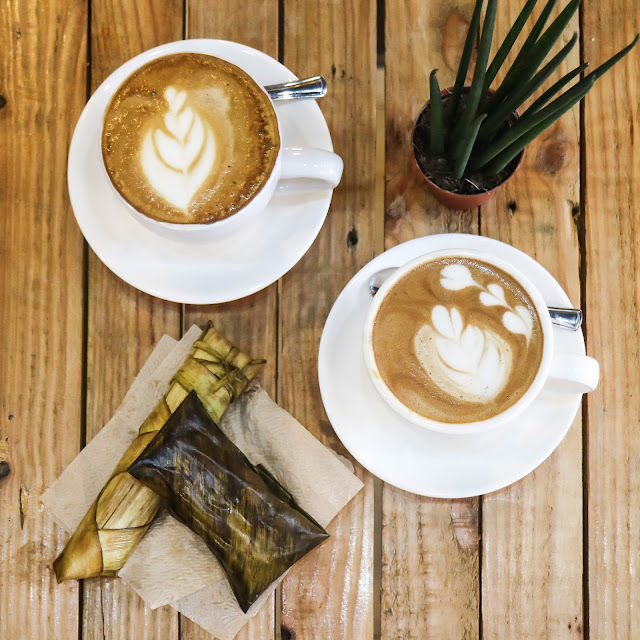 An array of coffee concoctions and specialty coffee from hot to cold made by their barista trained under Jack Meets Kaldi and Philippine Latte Art will get you through the busy day. Thus, they encourage the youth to stay at the café for some good vibes, bonding with friends and families over food and some board games provided by the café. There are also nights where some young people would play musical instruments and sing for the customers. Another best part of their advocacy is helping a children’s ministry feed some less fortunate kids at Kawit, Cavite, this is where part of their income goes. Easter is an event to celebrate the resurrection of Christ after His crucifixion. As being usually done we celebrate it by finding the eggs hidden. To make this more fun and exciting, Stairway Cafe will hide a number of eggs which has special prices, in kind or cash. Aside from that there will also be other games. This will be on the 16th of April in between 1 pm to 3 pm. To join you have to purchase any food item minimum of 100 pesos, for each 100 pesos you can find one egg per 100, if you have 1000 then you can find ten eggs and you can avail all the prices on it. No age limit for this. then there will be sharing also about our faith to our Lord and Savior Jesus Christ. Also at 1 PM to 3 pm, kids will be welcomed at the venue while you are being pretty-fied. Just come and bring your kids over at the venue on Easter, April 16, 2017, from 1 pm until 3 pm. Slots are getting filled in for the Search for House of Ootd Ambassador. This is a contest for anyone, NO AGE LIMIT!